How to Block Ads on YouTube App for Android? Block Ads on YouTube App for Android mobile. The Adblocker for YouTube App is capable of eliminating all sorts of intrusive and Video Ads. YouTube is by far the most popular video sharing and hosting service. You can watch billions of minutes of Audio-visual content for free from any supported device with active internet connectivity. YouTube has millions of monthly active users and a very powerful system to convert visitors into money. To earn money Google sells Ads on YouTube. Though Ads may be disturbing, they are the necessary evil. YouTube shows a number of Ads to users ranging from video ads to sponsorship cards and banner ads. The ads are important for the content developers to create more powerful videos as they serve as the source of income for the YouTubers. Google serves interest based Ads which are less intrusive and irritating in nature. Aggressively presented Ads can be vexatious. Google also has an aggressive mode of advertising and when they are injected during video play it is surely going to irk the users. Though for the desktop you can block ads using AdBlock extension there is no such provision for Mobile App. 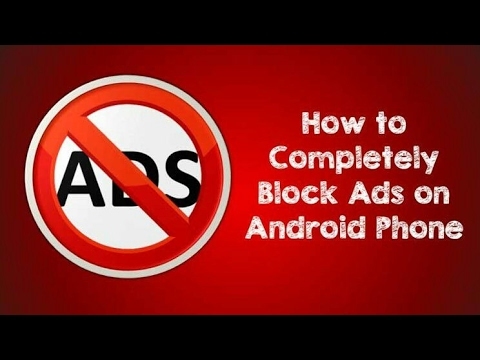 Today I will Tell you a few methods to Block Ads on YouTube App for Android without Root. Here are the Best Ad-Blocking Apps for YouTube App to remove all Annoying Adverts without Root. YouTube Vanced is a Premium YT App with all the features offered by subscription-based YouTube along with same core UI and App design along with powerful features like Video and Audio Downloader directly to device storage with multiple resolution support. The App has all core functions of the original YouTube App with added features which will make you glued to the YT Premium App for your Android. You can sign-in with your Google Account and also sync your Data with existing account and data to keep your info safe. OGYouTube App is a forked version of the original YouTube App with AdBlocker, Direct Download Links, Background video play, Dark Mode, Pop-Up window and much more. The OGYouTube has the same UI as the YouTube App with some added features. The App has all core functions of the original YouTube App with added features which will make you glued to the Mod YouTube App for your Android. You can sign-in with your Google Account and also sync your Data with existing account and data to keep your info safe. Works as YouTube – The core functionality and UI is basically the same as the official YouTube App. Multitasking (Video Restore Down) – You can reduce the video to take a small portion of your screen so that you do other stuff on your device. DNS66 is one of the most popular repository based Ad Blocker App for Android. The DNS66 creates an encrypted server filtering all sort of Ads from intrusive Ads, Pop Ads, Web Ads, App Ads etc. The DNS66 not only blocks ads on YouTube but all other Ads which you encounter while using your smartphone. Just download the DNS66 App from F-Droid and open the App. Here click on Domain Filters → Adaway Host Files. Tap the power icon on the home screen of the App and download any missing files if prompted. Done! Adblock activated. Apart from this, you can also keep your privacy at high security with various options available in the DNS66 App including, Malware Host, Ad Tracker Host, DNS Host etc. I recommend this app if you want to make your phone high on privacy. NewPipe is a Freeware Open Source lightweight YouTube App. It has a frontend youtube interface. The best thing about the App is you can run it without any Google API or the irritating Google Play Services. Basically, the NewPipe App just collects YT websites URL source and displays it in the form of the App. But this App can prove to be very powerful if you have a low-end Android phone with limited power. You can set and change the quality of video play. Download the video and audio at various different resolutions. Play the video in the background. AdClear is non-root ad filtering App developed by XDA developers. It creates a VPN on your device to filter out ad traffic before it reaches you on the web or in apps. It also filters the encrypted Ads. The Adclear is capable of blocking all types of intrusive and non-intrusive Ads on all the Apps. Blocking ads will save data and increase privacy. They will also help in optimising battery. You can browse safer and faster. If you are looking for an all in one Ad Block Browser for Android than I recommend you to go with Adblocker Browser. Download this YouTube File on your Device. Uninstall Stock YouTube App using Titanium Backup. Long-press the folder you created, choose “Permissions” from the menu. Set the “Owner” category to Read, Write, and Execute and other categories to just Read and Execute. Copy the Download YT APK to the New Folder & Reboot. Done! Enjoy Ad-Free YouTube. Conclusion: With the above Apps you can block the Ads on YouTube with direct App installation or with the help of 3rd party Ad Blockers. OGYouTube is a forked version of the YouTube App. DNS66 is an Ad Block filter for Android. And NewPipe is a frontend YouTube App with some excellent features along with Ad Blocking. I hope the post was helpful. Do comment below for any assistance or support. Enjoy seamless entertainment without any advertising disturbance. If you've any thoughts on Block Ads on YouTube App for Android | Ad Blocker for YouTube, then feel free to drop in below comment box. I’ve been using OGYoutube and always found it great. However when I used it today adverts were showing. What has changed?